The other day, after coming home from work, I decided to take a quick nap but when awaking from my nap I could not move, speak, or barely breathe! I was terrified and confused, I didn't know what to do, it felt like something or someone was holding me down or even smothering me. I laid there trying to move anything I could possibly move but I was unable to even move my lips to call for help. This incident lasted for about five to ten minutes long, I've tried researching on this subject but all the answers I have come across just don't seem right. This wasn't the first time it had happened either. Kevin: Hey there, thanks for writing in and sharing your experience. What you describe is an episode of sleep paralysis. 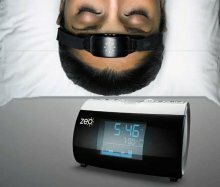 They can occur before and after full nights of sleep, but often occur even more often after naps because of the increased odds of waking up during REM sleep. The body paralyzes itself during REM sleep (the paralysis is known as REM atonia) to prevent it from acting out the dreams that are going on in your mind during this stage of sleep. When you experience sleep paralysis it is often because you have awoken during REM sleep and the atonia is a little slow to go away. 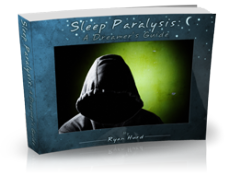 For more on why sleep paralysis occurs, check out this part of the site. Hope this information helps. If you have any questions feel free to ask them using the "Post Comments" link below.